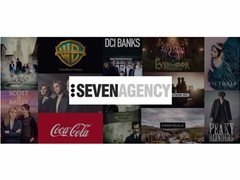 Seven Agency, one of the oldest and largest northern Extras and walk-on agencies is looking for new talent. The agency is getting busier and busier every year and we have found ourselves in a position (fortunately or unfortunately!) where we have more work than we have people so we are looking more talent to join our extras and walk-ons. As an agency we are looking ahead to forthcoming productions. We have found that BAME extras are massively unrepresented across the industry. This is something we are addressing and want to change. We are looking to increase the diversity of talent we represent, making our book truly representative of the population. We have just started on a massive new drama in the Manchester area and we are already running short. We can normally offer any BAME artist work within a week, sometimes a little more but as those who are with us will testify the turnaround time. This opportunity is available to any BAME extras aged 16 and over. We are looking for people within (or within easily commutable distance) to Manchester, Leeds and Liverpool. This is where the vast majority of productions film in addition to where all our major soaps are based. Established in 1998 we provide a wide range of artists to the media industry. We work a massive amount of productions, including major feature films such as Fantastic Beasts and Where to Find Them, Sherlock Holmes and the upcoming Darkest Hour. Well known television dramas such as Peaky Blinders, Victoria, No Offence and big name commercials from Chevrolet and Mercedes to Uber and Nivea as well as many, many more. Our agency works on a wide range of contemporary dramas and soaps. The work can be regular (not full time) for those who are interested, or less regular, depending on your situation. It’s up to you what you undertake. This is some of the most highly sought after work in the industry, as such we are only looking for those with a genuine interest and passion for it. Those who are reliable and dedicated. All work roles comply with industry approved rates (equity rate or higher). Once you complete your application our team will review it and contact you if you are successful. Successful applicants will be invited to the office to meet the team. We will go through everything and get you started. BAME only - BME/BAME – Black and Minority Ethnic or Black, Asian and Minority Ethnic is the terminology normally used in the UK to describe people of non-white descent.